Spring in London arrives first with the pink magnolia trees and then the cherry blossoms. 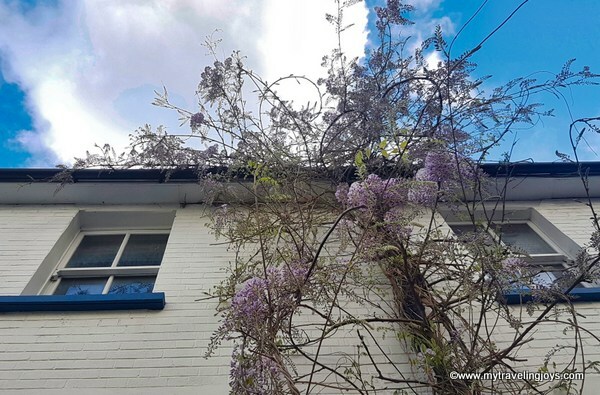 But what seems to set the Instagram scene on fire is when the wisteria vines start blooming! 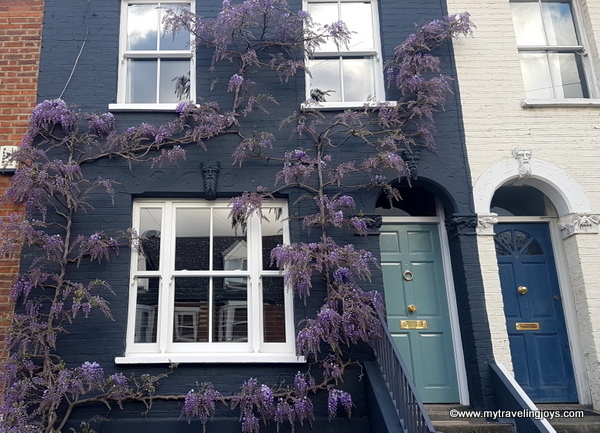 There’s even a hashtag called #wisteriahysteria where you’ll find thousands of photos of plush purple wisteria blooms. 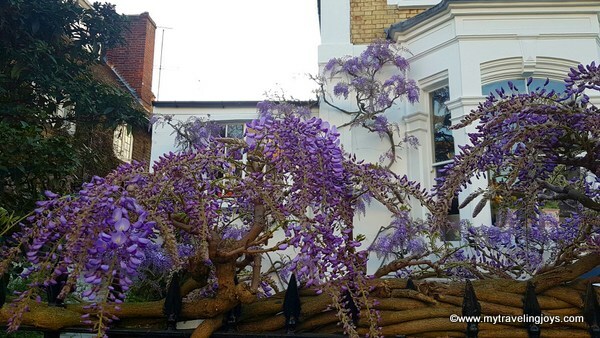 These lovely vines typically start blooming in late April and continue through mid-May. 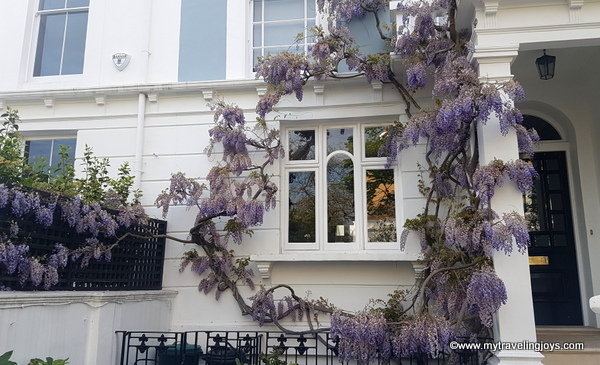 A classic scene in Chelsea - wisteria vines over bay windows on an old row house. 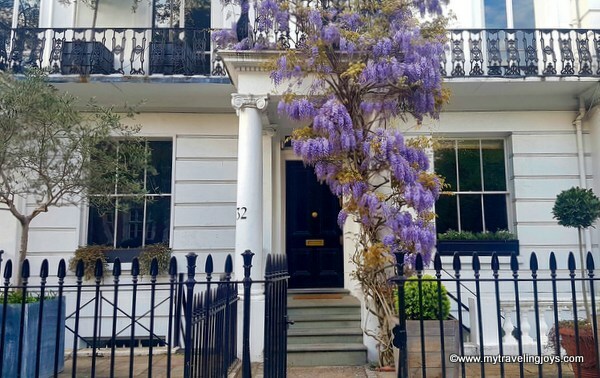 Since I started working full-time in the Chelsea neighborhood, I’ve had more time to walk a bit after work or sometimes even in the early mornings on my way to work. 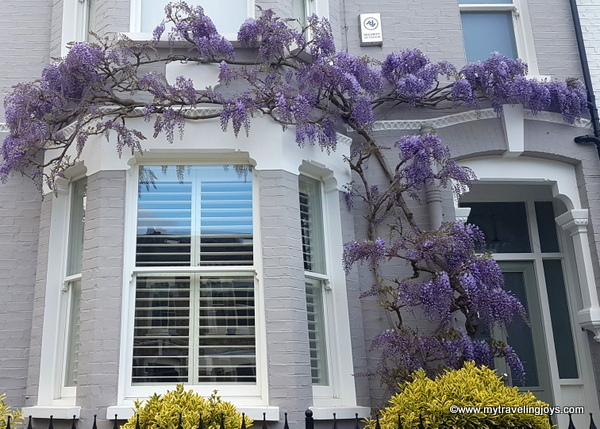 There are quite a few fancy houses in this area and many feature some amazing wisteria vines. 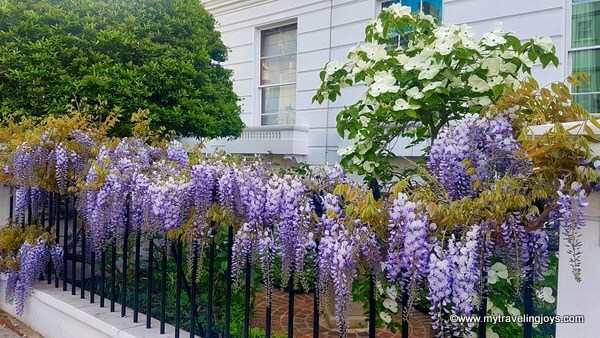 If you have time, you’ll want to wander around the Chelsea Gardens area and head to Sloane Square. 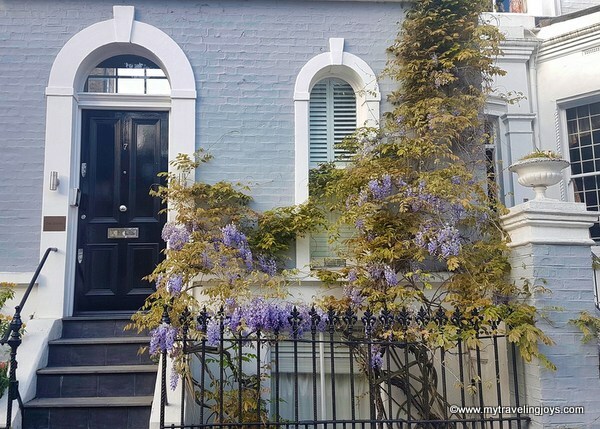 Even if the wisteria isn’t blooming, you can admire these historic, fancy houses. 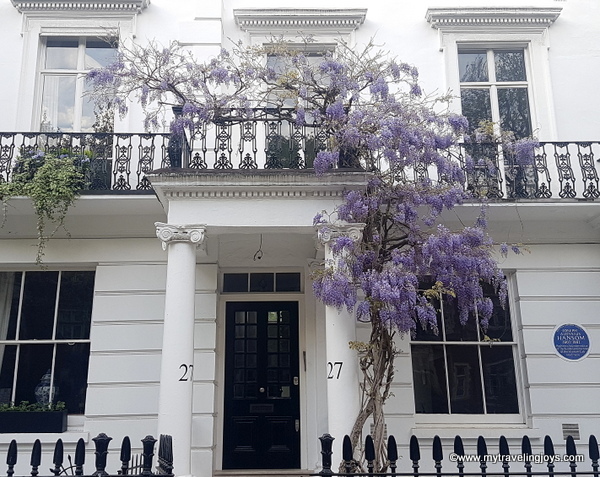 Enjoy my wisteria wanderings through Chelsea! We have it bedecking the back of our place and growing up a large Oriental Plane tree - it is a joy, Joy!